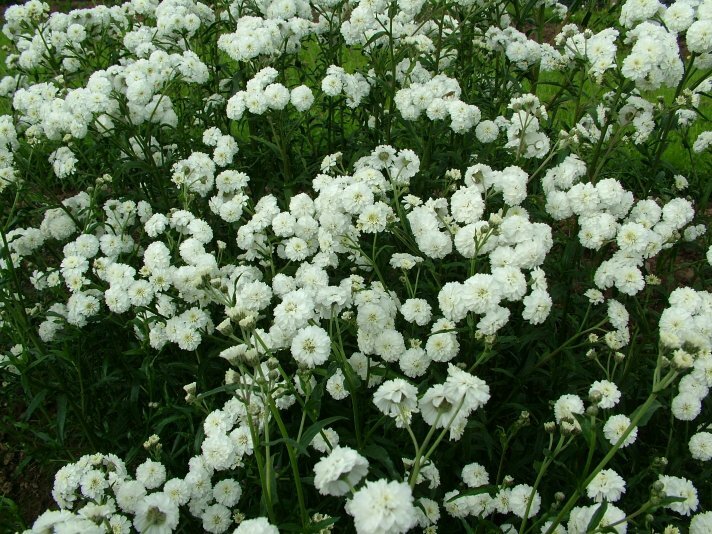 Pure white double, button-like, flowers, in profusion, all summer. Good for cutting and drying. 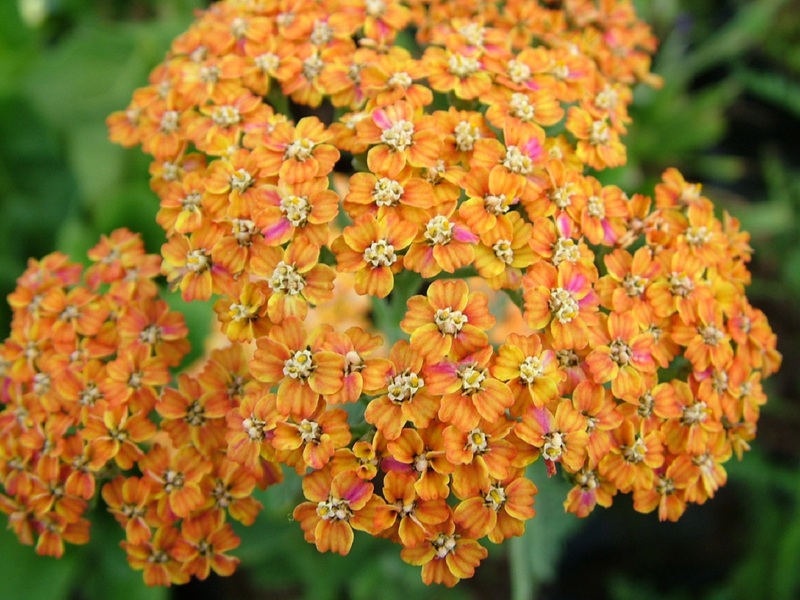 Deep terracotta-coloured flowers, maturing to a golden terracotta. Flowering from mid to late summer. Graceful, arching leaves tinged burnt orange in Summer, turning a darker reddish-orange throughout Autumn and Winter. Feathery sprays of reddish-orange flowers in late Summer. Evergreen. Good for pots or planted in drifts. 60-75cm (2'-2'6") Sun or partial shade. 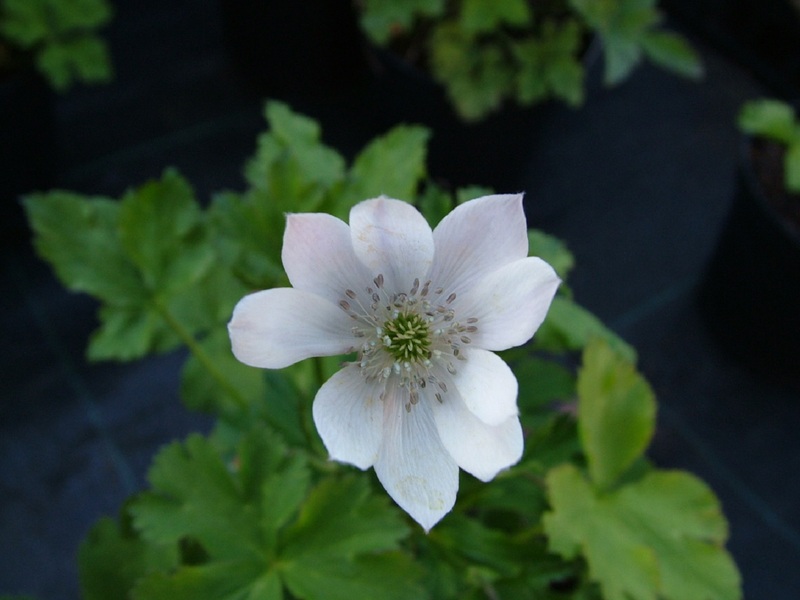 Single, pure white flowers with a light pink tinge on the reverse of the petals. Flowers in profusion in early Summer. A charming cottage garden perennial. 45-60cm (18-24") Sun or partial shade. Pure white flowers, with blue anthers and a steely blue reverse. Flowers in abundance in early Summer. 60cm (2') Sun or partial shade. 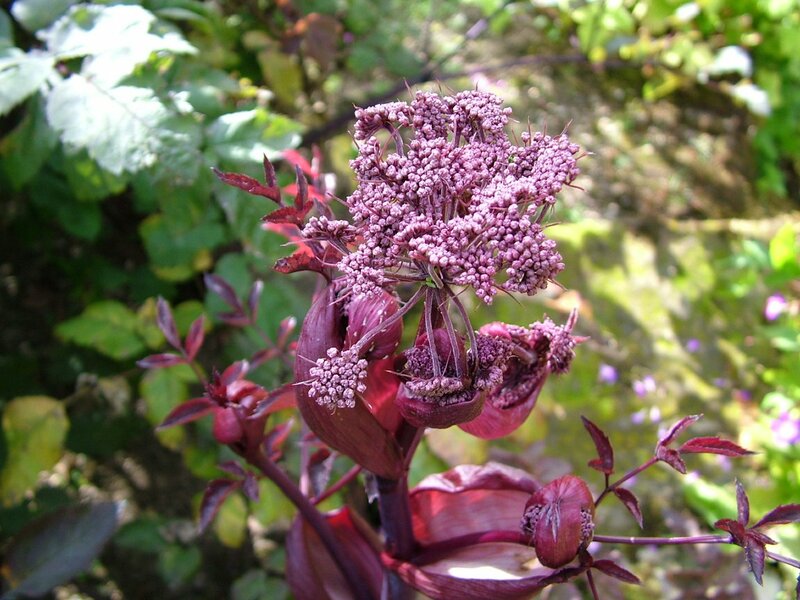 Striking dark purple leaves, almost black, with soft pink flowerheads in late Summer. 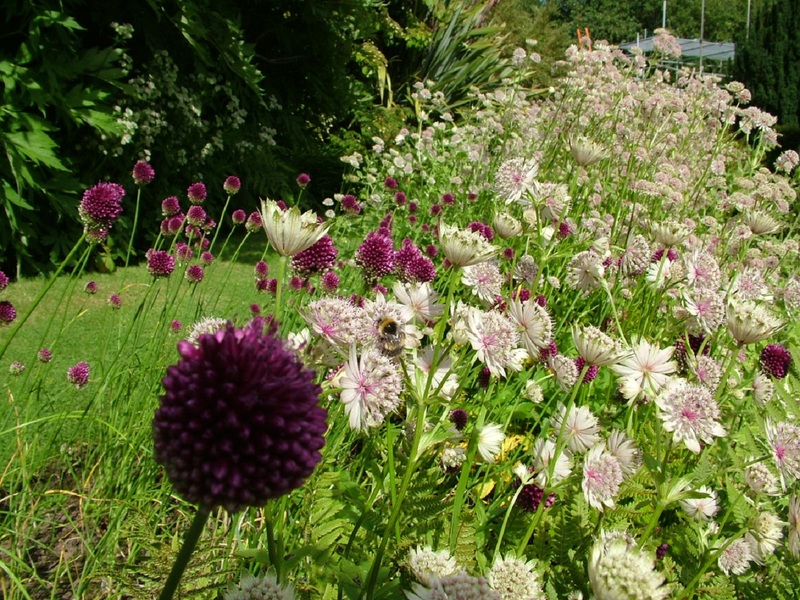 Strictly speaking this is a biennial - however it self seeds readily and can be counted on to be perennial. the familiar dark pink flowers. Evergreen. This is a good choice for a pot. White papery flowers, with a soft pink tinge. 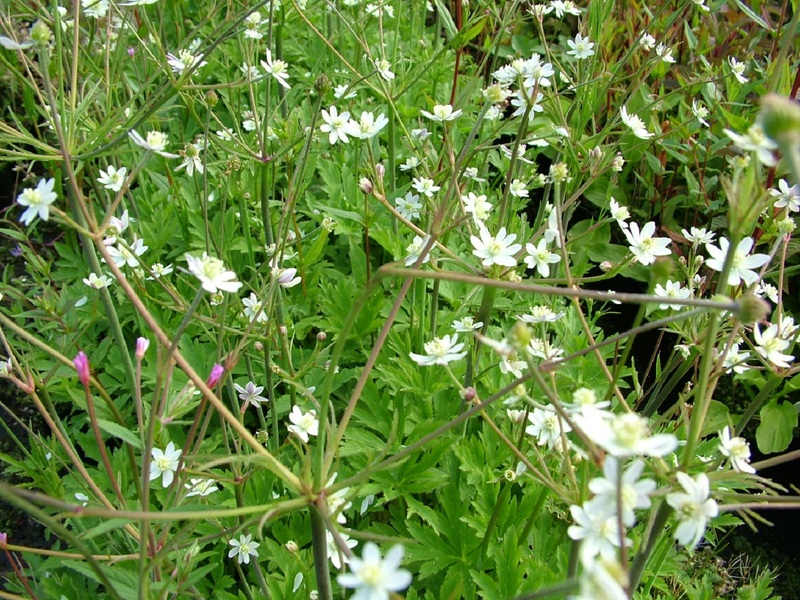 Long-flowering from midsummer to autumn. Great in shade, but will also take full sun.